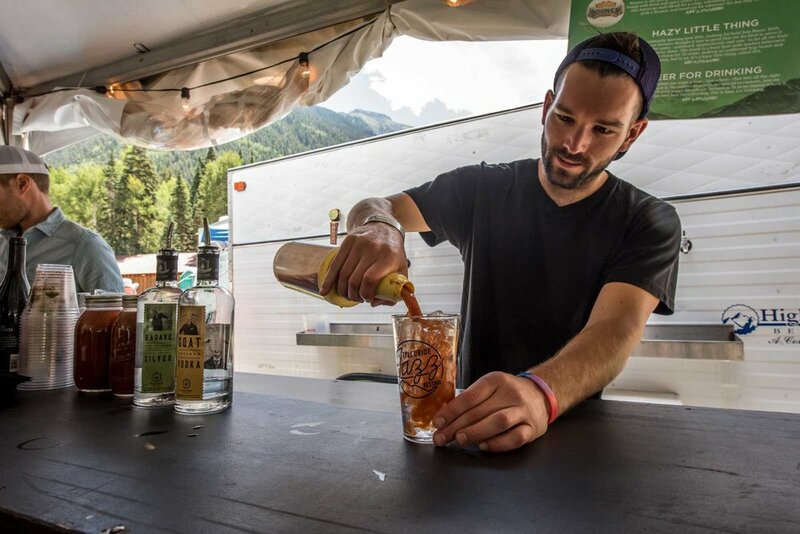 The VIP Experience features an exclusive VIP area inside the Festival grounds with a covered, heated lounge with unobstructed stage views, seating in front of the stage, a hosted bar with craft beer, select wine and specialty cocktails, private, up-scale restrooms and more! Let's break it all down below. Goat Vodka or D'Agave Tequila paired with Freshies Bloody Mary Mix - Original Recipe made with fresh horseradish, hand chopped garlic and onions, dill, and lemon juice served with traditional accoutrements - Horseradish, Pickled Okra, Pickled Beans, Pepperoncini, Pickled Onions, Olives and more! The VIP seated viewing area offers a clear and up-close view of the stage featuring one of the most intimate concert experiences available. Enjoy an open bar all weekend long showcasing craft beer, select wine and specialty cocktails at stage-view bars in the VIP Area. Complimentary bar with beer, wine and specialty cocktails - Enjoy an open bar all weekend long showcasing craft beer, select wine and specialty cocktails at stage-view bars in the VIP Area. Exclusive VIP Area - Enjoy the music from an exclusive, less crowded Patron/VIP Area inside the festival with uninterrupted stage views and a covered, heated lounge with relaxed seating. The Patron/VIP area also features yard games and fire pits. VIP Restrooms - Dedicated, upscale restrooms will be available in the VIP and Patron Area. Priority Festival Entry - Patrons will receive early, priority entry into the Festival grounds each day. VIP Passes are on sale now! Click below to get tickets. Note: VIP Passes are available in limited quantities. Patron or VIP - Which is For me? Click here to explore options.